Remember the “good old days”, when all you had to do was practice good law to have a good reputation as an attorney? Nowadays, our reputations live on the internet, and it is not as easy to maintain a positive reputation on line. It’s certainly not as simple as simply practicing good law. Attorneys in 2016 need to implement a strategy to ensure there is a continuity of your legal reputation from online to “offline”. With technology and how the public finds attorneys changing constantly, it’s difficult to even figure out what to do on the internet in order to enhance your legal reputation. Many attorneys start (and end) with a firm website. There are also established social media sites, such as LinkedIn, Martindale, Avvo, Facebook, and Twitter which attorneys use, and other new sites are created all the time. Figuring out which sites you should focus your attention on is only part of the battle. 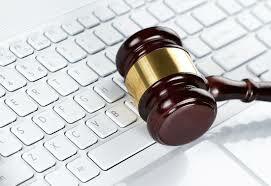 The next step to enhancing your online legal reputation is Search Engine Optimization (SEO). Then there are State Bar rules related to attorney advertising. For example, in California, a “stand-alone” blog is generally not subject to rules related to lawyer advertising, but a blog that is an integrated part of a firm website IS subject to those rules. (Formal Opinion Interim No. 12-0006.) Running afoul of these rules could get you disciplined by the Bar. If you are a successful attorney, you probably don’t have the time to pay attention to enhancing your online legal reputation. However, it is important for business development, public perception, opinions of peers and adversaries, and even for firm hirings. It is to your detriment if you think the internet can be ignored or has no impact on your bottom line. If you’re not maintaining your online reputation yourself, hire someone to do it for you.